Molly Anderson is CEO & Founder of Exponential Talent LLC which specializes in the development and implementation of diversity and inclusion strategies that are critical to innovation and performance. ​She is co-author of The Corporate Lattice: Achieving High Performance in the Changing World of Work (Harvard Business Review Press, 2010). The Corporate Lattice™ framework guides companies to adapt to a workforce and a workplace that are undergoing rapid transformation as technologies advance, globalization increases and the workforce diversifies. Previously, Molly was director of talent strategy and innovation for Deloitte where she led initiatives in leadership development & succession, performance management, Mass Career Customization® (for which she holds a patent) and workplace flexibility. In a prior role, she also directed the operations of the women’s initiative across Deloitte’s 50,000 person organization, leading a range of programs to develop women leaders, create community, and change the organization and culture. Molly is a frequent speaker in forums such as the Conference Board, the Human Capital Institute, the Society for Human Resource Management, Talent Management’s Talent Strategies Conference, UC Berkeley and the Graduate School of Business at Stanford University. Her articles have appeared in leading publications such as Bloomberg Businessweek, Forbes, CNBC, Leadership Excellence and The Conversation at Harvard Business Review and she appeared on First Business TV. Molly is a member of the Advisory Board for the Stanford University Clayman Institute for Gender Research, the oldest gender research institute in the country, and she served on the Institute’s Redesigning and Redefining Work research initiative. 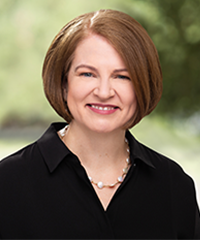 Molly also serves on the Stanford Graduate School of Business Women’s Task Force, and previously served on the Organizational Change Working Group of the Anita Borg Institute for Women in Computing. Molly earned her M.B.A. from the Stanford Graduate School of Business and her undergraduate degree in from Harvard University.